Socializing your B2B business can energize and engage employees, customers, and prospective clients. Integrating and distributing content across social networks and blogs is not only raising awareness, but also driving ROI through improved search engine optimization (SEO), better customer service experiences, and increased customer engagement. 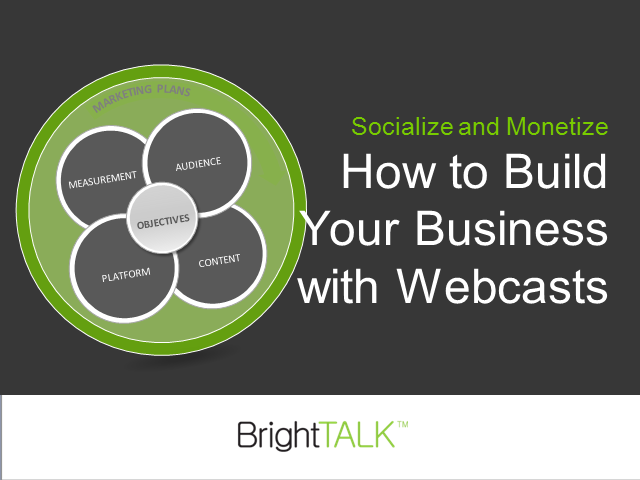 Join Michael Crosson, Publisher with Socialmediopolis, and David Pitta, Sr. Marketing Manager, Demand Generation with BrightTALK, to learn the key steps to socializing your webcast programs.